The Cyclone is our economy outdoor banner stand. 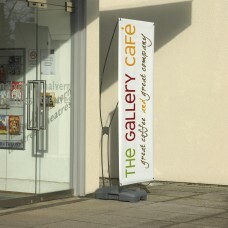 It offers a robust, static, resilient solution to advertising outdoors with a stable base which can be filled with either water or sand to anchor the unit to the ground and prevent it tipping over in high winds, as well as it's flexible carbon fittings which hold the graphic firmly in place under tension whilst allowing enough give in extreme conditions. 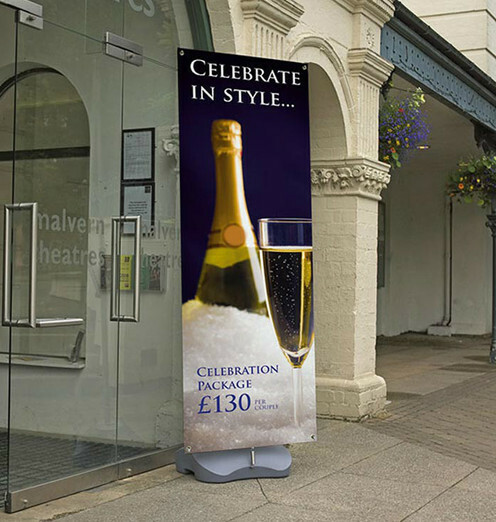 The graphic area on the Cyclone Outdoor banner is 800mm wide by 1800mm tall and takes the form of a PVC advertising banner which comes fully printed as part of this package. Moulded hooks allow easy graphic attachment and easy graphic changing, and the Moulded base has a 12 litre maximum capacity. A Carry bag is also included. 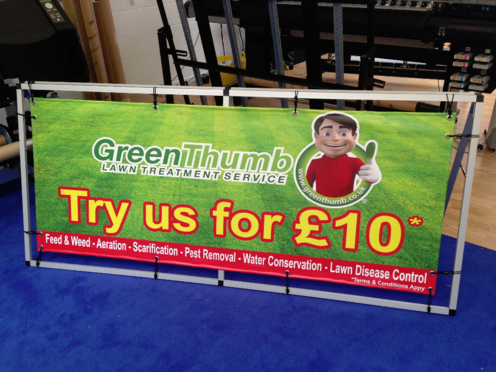 Allows for Single or double sided print. a twist-out foot for added stability. A pull handle and integral wheels allow for easy manoeuvrability. 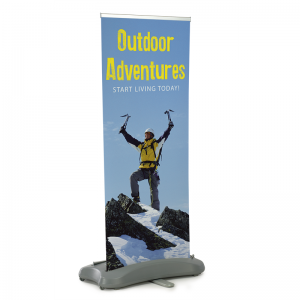 The Polar is an Outdoor banner which is designed for absolute flexibility and versatility. You can adjust the height between 1200mm and 1800mm at any time, the width between 650mm and 800mm at any time and you can use as single or double sided at any time. This is achievable via the telescopic pole set. It is ideal for any corporate or retail environments and can be secured in place by the moulded plastic 18 litre base which can be filled with water or sand. However if you require you also have the option of an additional weighted base ring available.